A cute, colored handbag with a free copy of. Matt D. Watt’s 3-cd set, The 8 Principles of Goals and Success. On Friday night, Norma was set apart for public consecration and installation to the office of Bishop. It was a great privilege and honor to be there witnessing this, and to now be officially part of her Preach Woman Preach Alliance. Preach Woman Preach Alliance is a non-denominational alliance of anointed women who feel a call by God to preach and teach God’s word. Its goal is to empower women to live abundant lives in Christ, and the Alliance serves as a spiritual covering for women in ministry. Do I mean this alliance is some sort of club, clique, or even a new type of church? No! It’s just basically women of God encouraging and praying for each other! What we should be doing each day anyway, because God knows we women all need the encouragement in thisbusy, stressful life – women who are wives, mothers, sisters, daughters, grandmothers, women who work outside the home, women with on-line businesses, women with trials, women in tears, women who just want more of Jesus! 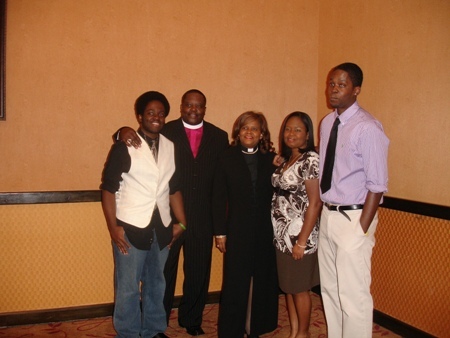 Bishop Ben Washington installed his wife Norma into the office of bishop, and it was a powerful time in the Lord. After she was installed, Bishop Norma got up to the podium to teach out of Zechariah 4: 6-10 on the capstone, and was her usual firey, preaching self. She is inspiring and so funny! One thing she said that struck me was that we can NOT do this apart from God! I spoke early Saturday morning. The topic God gave me for speaking was on “secrets” – our secret sins that we need to bring to Jesus at the cross to be forgiven, and the secrets God desires to speak to us in prayer like He did with Deborah, Daniel, and Abraham. One of the secrets I shared about that often has women so bound in shame and condemnation is abortion, which they feel is the unforgiveable sin. After I spoke, two women at this conference publicly announced that they had had an abortion years ago, the first time they had ever publicly admitted to this. Through this confession – exposing the darkness and bringing it into the light – they experienced more freedom this weekend. God’s heart longs to forgive, heal, and restore us. So instead of her original speech, Karen spoke on “The Call of God,” sharing from the book of 1 samuel when God was speaking to young Samuel for the first time. She gave her testimony on being delivered from drugs, immoral relationships, and especially addiction to alcohol even when she was a pastor’s wife. It was a powerful testimony that ministered to those attending. And it clearly conveys the message that we as Christians are NOT perfect and we have problems – it is why we need Jesus! The way God brings people together astounds me. My room mate at the conference was Minister Sherry Clements of the Non-Perishables Ministries & Productions, Inc. Sherry did a powerful teaching and dramatic skit at Norma’s conference this weekend, on the woman with the issue of blood, reaching to touch the hem of Jesus’ garment and being healed. 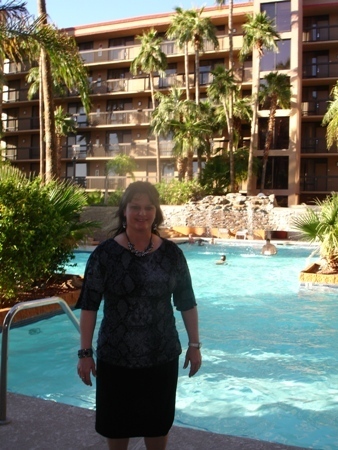 Sherry is a author and poet, and she has written some great books on poetry, which I encourage you to check out. Here is one of her books on Amazon. http://www.amazon.com/Even-Adam-Book-Poetic-Ministry/dp/141379808X/ref=sr_1_1? Here is Sherry on You Tube. ***My new sisters in the Lord! 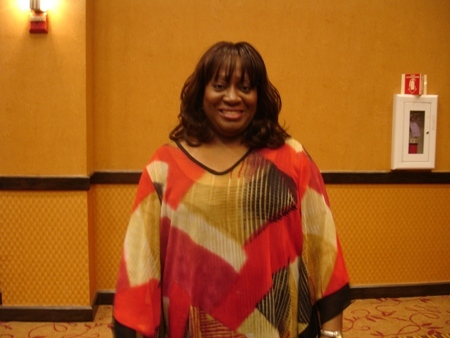 One of the women I met at this conference who I felt an immediate connection with was Pastor Theresa Buckner. She must be at least six feet tall (I felt SO short beside her! ), she has long black hair, and she is just beautiful, gifted, and very funny. We talked, we laughed, and we had a great time sitting together – and we hated saying bye to each other! She’s like my new sis! 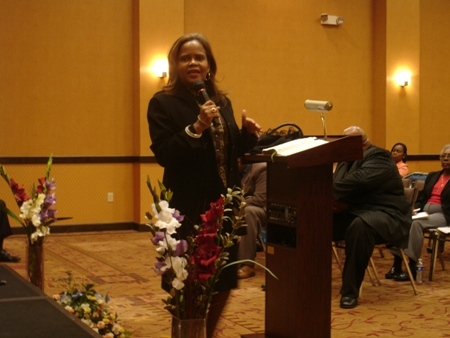 Evangelist Beckie Porter-Watt was a powerhouse in prayer, and I would just love to hear that woman preach! I was so blessed meeting her! Another impressive woman I met was Pastor Verna McGee, who with her husband is planting church fellowships in Ohio now and is about to go to Africa with him in December to minister there. What has God put in YOUR heart to do? What’s holding you back from doing it? Remember, it’s all for God’s glory, not our own! 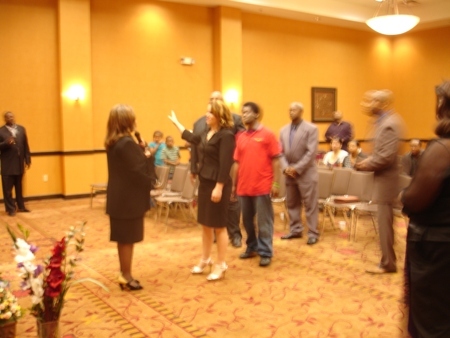 The Saturday night meeting when Norma preached was POWERFUL, and we were uplifted and encouraged. What I love about their church is that they don’t hold back from worshipping God in song and dance. They have FUN praising God and enjoy laughing, too! The Washingtons are a man and a woman after God’s own heart. May God bless them exceedingly in their ministry. The spiritual authority and the anointing and talents of the people at this conference was just incredible. 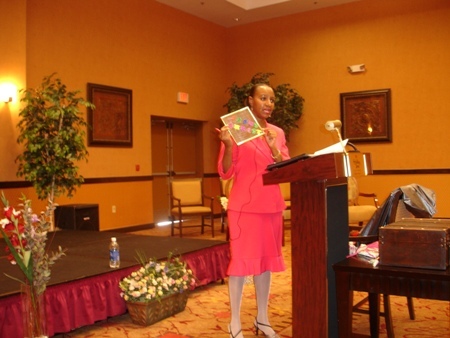 I was so encouraged to meet so many gifted women of God. It was truly a blessing and an honor to be there. What on earth does all of this long post have to do with YOU? When you’ve got good news, you can’t keep it to yourself! I had to share all God did! ← Overloaded? Take control of your day!